Megan Lois: outfit photos and recap of the holidays - very much delayed! outfit photos and recap of the holidays - very much delayed! outfit 3: skirt and coat: Forever 21, necklace and bag: vintage, knee highs: Urban Outfitters, everything else: thrifted. It's that time again - time for me to apologize for my absence. I am terribly sorry, but for the last few weeks my boyfriend has been visiting me! We had an absolutely lovely Christmas together and I'm sad that he's gone back home now, but it means that I have more time for my other relationship again - my blog! Martin and I headed to St. Louis for a few days one weekend to visit my sister - first we stopped at the Budweiser brewery and got a free tour and lots of free beer! Then we went to the City Museum in St. Louis, which I definitely recommend for anyone who is a child at heart - it is not your typical museum, but is filled with random found objects from St. Louis, formed into caves, slides and ladders that you can peruse as you wish. It was simply amazing. We also visited the "Gateway to the West" - the St. Louis arch! We went to the top and took photos looking out of the tiny windows, thousands of feet above the ground. The previous day's snow was melting, but we got there in time to see a lovely proposal written in the snow - must have been so romantic! Here is the view from the top, anyway. 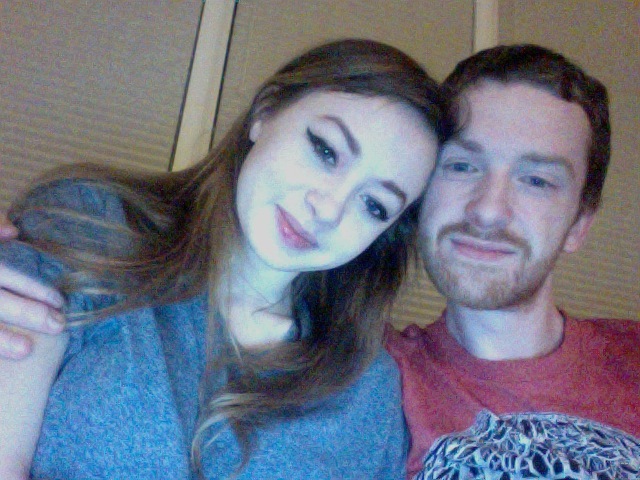 The rest of the time we just lounged around and took funny Photobooth pictures on my laptop!